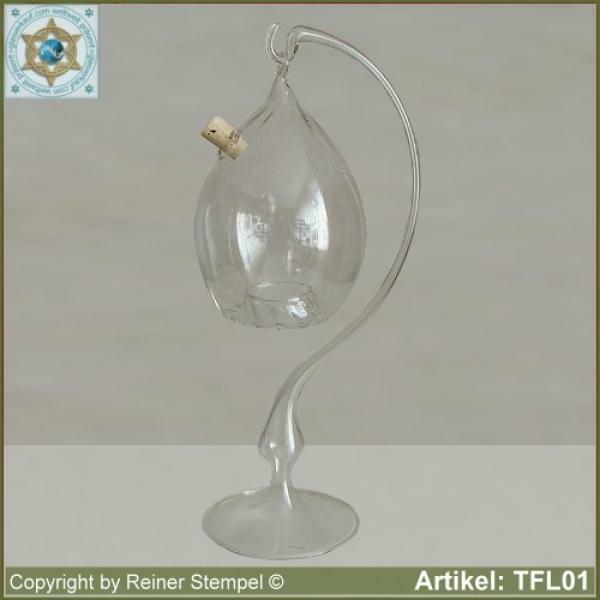 Our hand-made glass products fly trap wasp trap from crystal clear glass with or without stand from Lauscha glass keeps annoying flying insects away from you. Fill it with a mixture of vinegar, sugar and water and stand it on in your area, either with the stand or simple on a cord hang out. Already after a short time come the pests, slip into the fly trap and - caught. The fly trap easy to clean with running clean water.